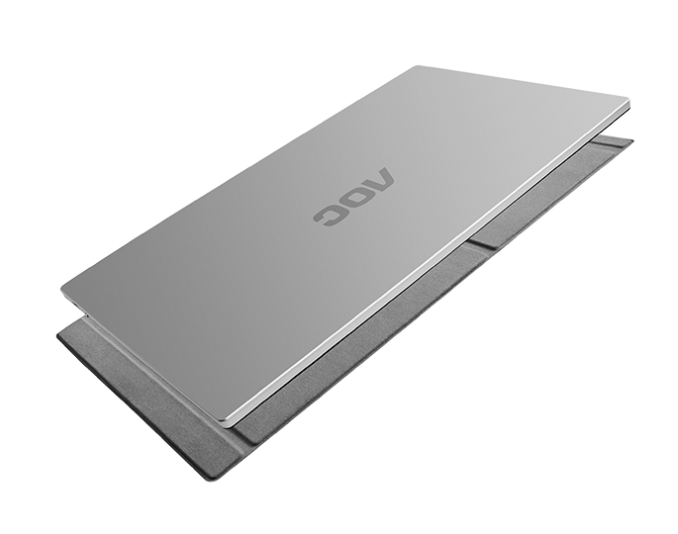 AOC has added another portable monitor to its lineup, this time powered by a USB Type-C connection. 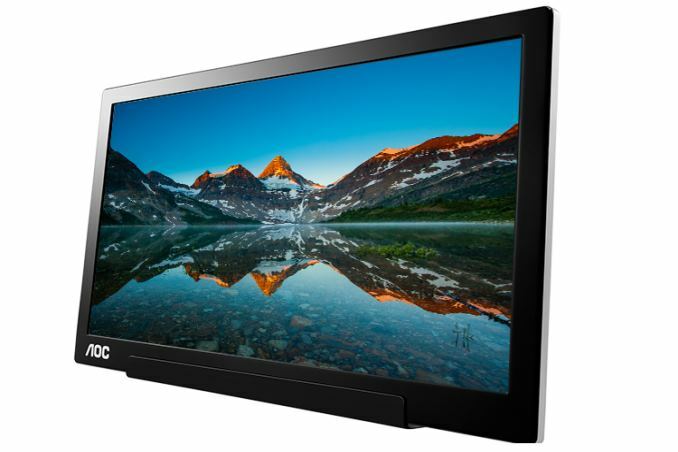 The 15.6-inch I1601FWUX has a Full-HD (1920x1080) resolution and is designed for portable users to be able to expand available screen area and quickly connecting through a single USB Type-C cable. 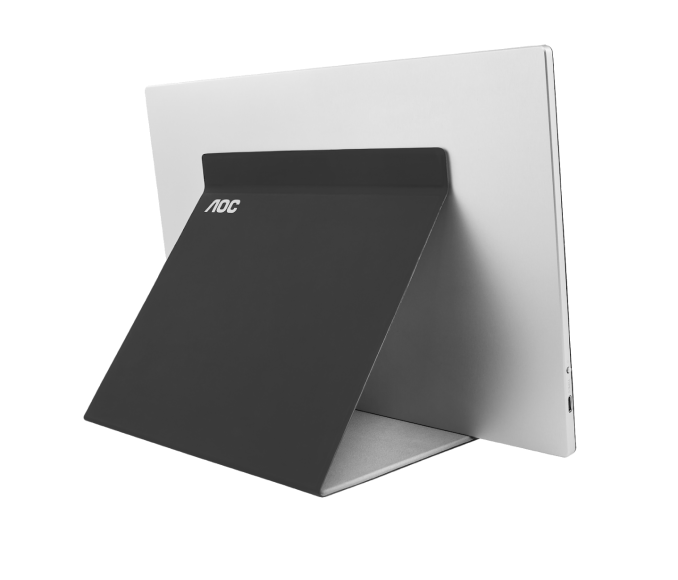 The case is made of a die-cast metal alloy with a silver backing with the AOC name emblazoned on the back. 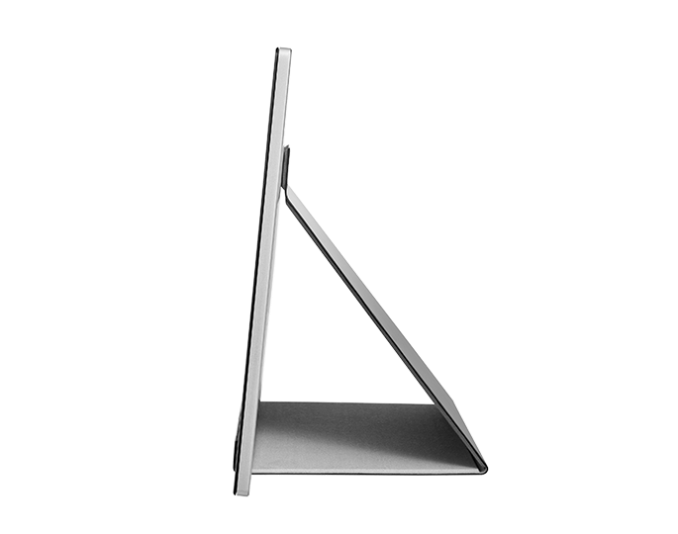 AOC says the chassis is '...precision machined to provide a functional display that is both elegant and durable'. 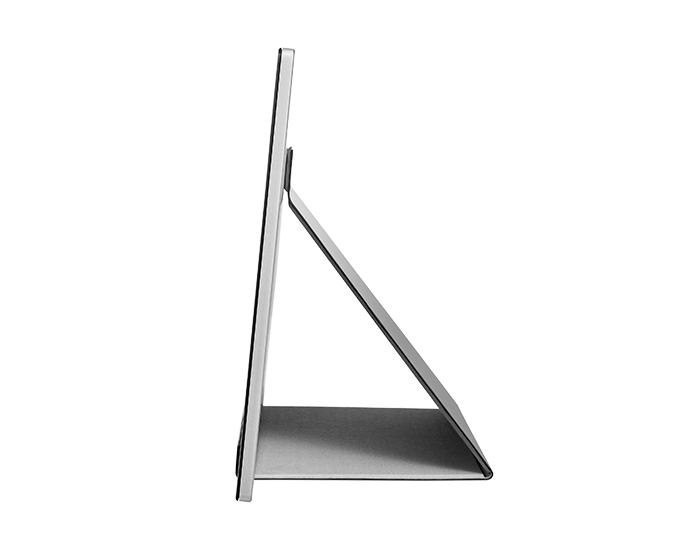 The portable monitor includes a fold up stand with the height of the holder allowing for the display to be around the same height as the laptop. 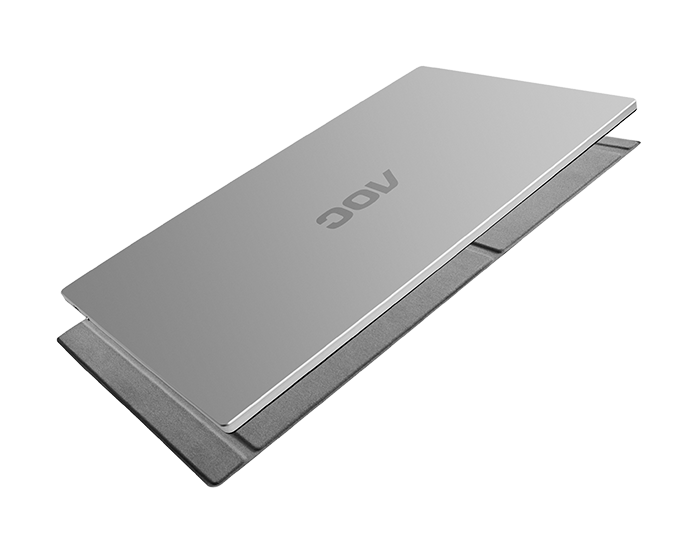 The single USB Type-C connection carries both video and power which keeps the extra dongles down to the bare minimum while reducing clutter in the workspace. There is also an additional battery to help reduce the power drain from the connected device. The AOC panel is rated for 8W typical and less than 0.5W while in standby. Compared to the S14 HP 14" portable monitor just announced, it uses a lot more power (5W typical on the HP). Specification wise, the AOC monitor features a slim design measuring in at 8.5mm thick and weighing 1.71 lbs. The external dimensions come in at 14.8” x 9.25” x 0.33”. Compared to the USB attached 16” monitor (model I1659FWUX), it is a bit larger around, but thinner and lighter. Neither the color gamut coverage, nor the specific IPS panel type, were listed in the specifications but it appears to be a different panel inside this monitor compared to the 16-inch as the color depth and viewing angles are different with the new model actually having less color depth at 262K (vs 292K) and lower viewing angles available. We do know the panel is an IPS LED-backlit display with 160° horizontal and vertical viewing angles with a native Full-HD (1920x1080) resolution at 60 Hz refresh rate (5ms GTG). Brightness comes in at 220 nits with a 700:1 static contrast ratio. 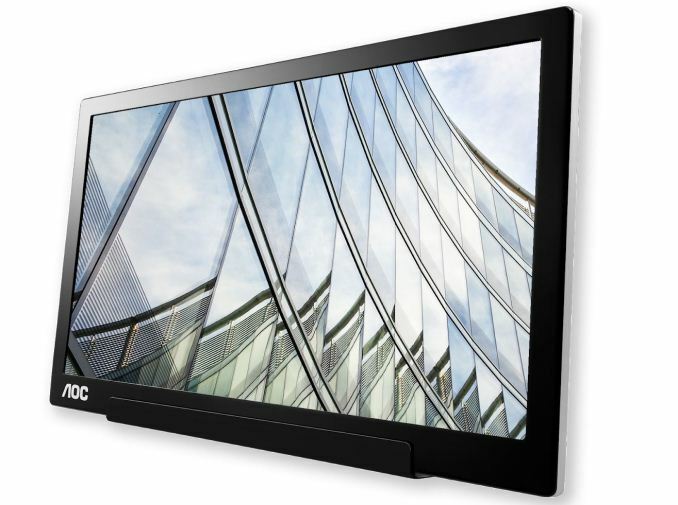 The AOC display features a slim profile, lightweight, includes a foldable magnetic stand, and uses AOC’s LowBlue Mode Technology to decrease blue light via controlling color temperatures, although this will adjust the color accuracy. The monitor also has automatic pivoting and will adjust automatically when the display is set up on its side. With only the power button available, any interaction with the menu is handled through that single interface. Pricing on the AOC I1601FWUX comes in at $196 at Amazon and is available now. It could be a privacy panel with an extra layer added to prevent people from being able to shoulder surf from beside you. I did 2 minutes worth of googling and found the pertinent info available in the PDF spec sheet.